In June 1984, the Sikh Nation witnessed the power-drunk Brahmin Indira Gandhi send the Indian Army, on the sacred day of the Shaheedipurab of Sahib Siri Guru Arjan Dev ji, to attack Siri Darbar Sahib, Siri Akal Takht Sahib and 40 more historical Gurdwaras. 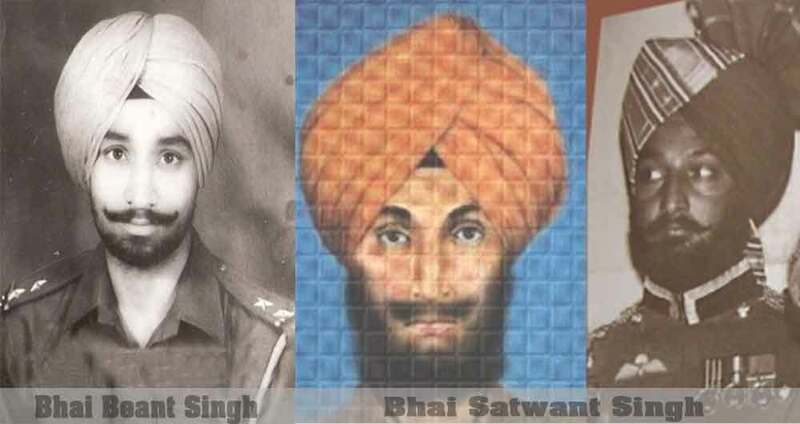 They used many battalions of Army and tanks, and attacked the thousands of innocent pilgrims who came to pay respects of the Shaheedi of Guru ji, and many, many Sikh Sangat, Singhs, Singhnian, children and elders became Shaheed. 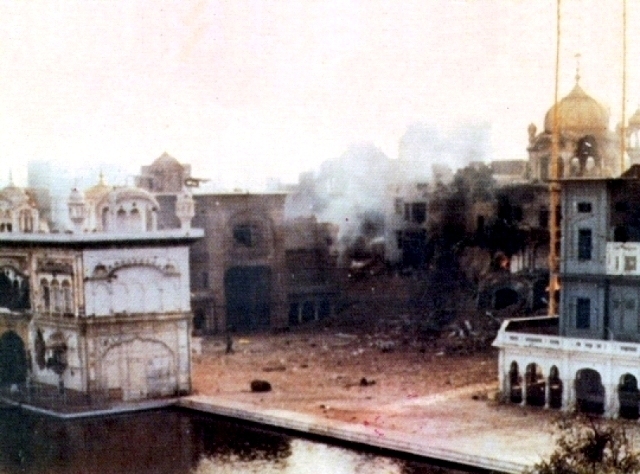 Sri Akal Thakht Sahib was desecrated by tanks. 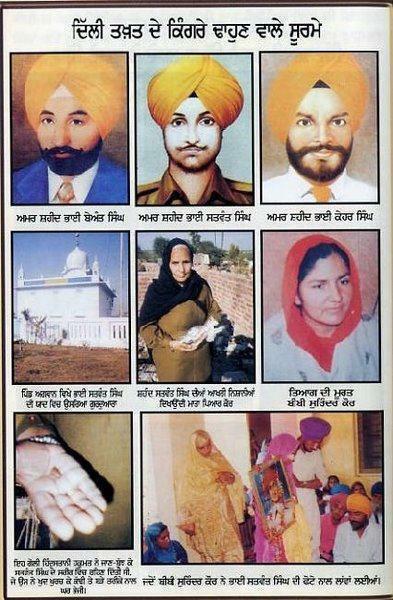 This army action by Indira Gandhi burned in the heart of every Sikh. It was like a great challenge had been placed before the Sikh Nation. The Sikh Nation was extremely angry at the action. As well as the genocide, Sri Harmandar Sahib had been dishonored and Siri Akal Thakht Sahib desecrated. The times of Massa Rangar had returned, and the Sikh Nation required a Bhai Sukha Singh and Bhai Mehtab Singh. Sikhs saying Waheguru, sent Sukha Singh and Mehtab Singh to take care of Massa Rangar. 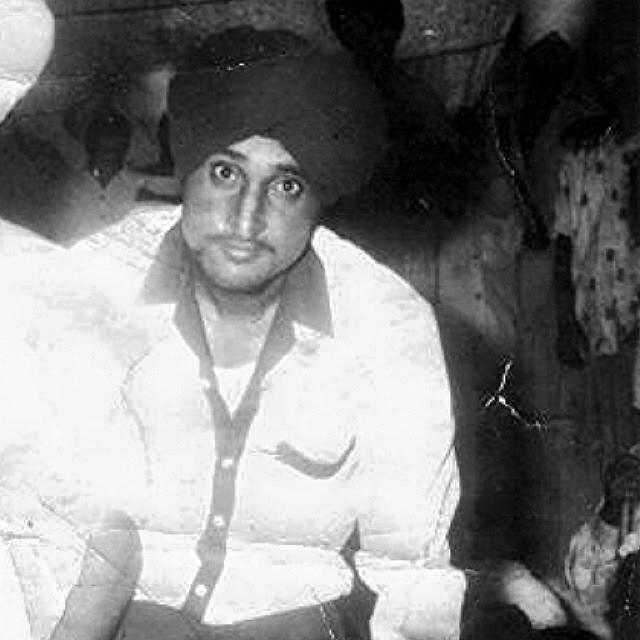 Amar Shaheed Bhai Satwant Singh Agwan – Punisher of Dusht Indira. Satwant Singh always had the late shift, and Beant Singh the early shift. They had to work out a way to both be on duty together. On 31st October, Satwant Singh faked a stomach bug, and swapped duties with another guard. Now they had to decide how to do the task. They decided that the best time was when Indira Gandhi was taking her daily walk. On the morning of 31st October, 1984 at 9am, as Indira Gandhi walked from her house to her office at Safardajung Road, Bhai Beant Singh shot her 5 times with his service revolver. Bhai Satwant Singh at the same time lifted his Thompson Stengun and shot 28 bullets. 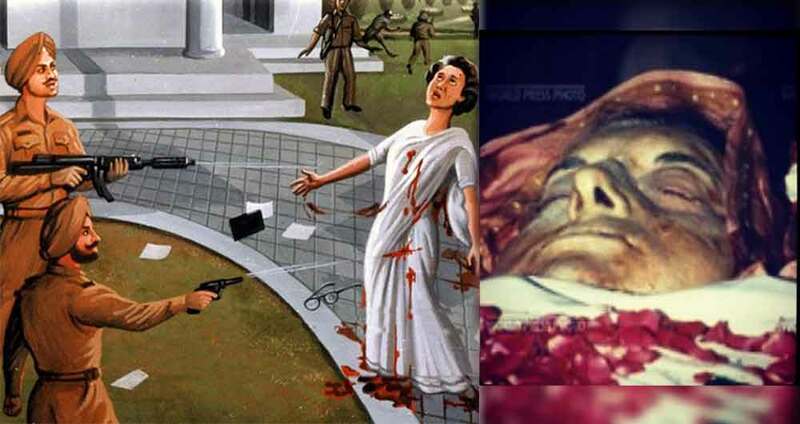 Seeing Indira Gandhi fall, all of her PA`s and ministers ran for their lives. The Indo-Tibetian Border Police commandos, who also guarded the grounds would not come close. Both Singhs shouted “Bole So Nihal, Sat Sri Akal!!”. The Singhs shouted, “We have done what we needed to, now you can do what you have to.” Then both placed their weapons on the floor. Only then did the other guards come and arrest them. Both Singhs were taken to a room, and waited for a senior officer to interrogate them. While waiting, the commandos started swearing at the Singhs. Not tolerating this, Bhai Satwant Singh slapped the commando and a struggle ensued in which Satwant singh grabbed the commandos handgun. The other commandos started shooting at the Singhs. 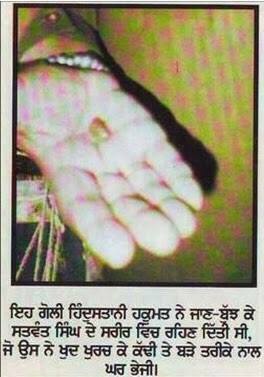 Bhai Beant Singh died there from gunshot wounds. Bhai Satwant Singh was seriously injured. On the arrival of a senior officer, Bhai Satwant Singh was taken to the hospital. The officers wanted to know who else was part of the conspiracy. 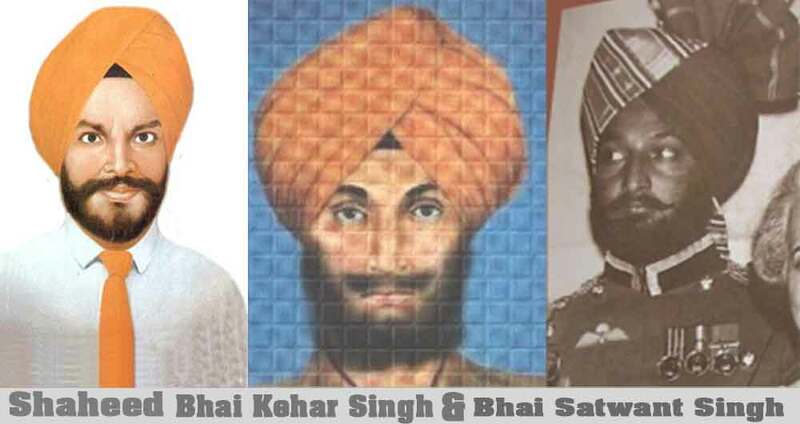 They did not know that these Singhs had acted alone because of the attack on Siri Darbar Sahib, Siri Akal Thakht Sahib, and 40 Gurdwaras, the Sikh genocide of Singhs, singhnians, children and elders, and inspired by the legend of 6th June 1740, when Sukha Singh and Mehtab Singh took revenge on Massa Rangar.